Those who watch Nintendo closely probably got a whiff of déjà vu from today’s announcement of Nintendo Labo, its new line of Switch games with DIY papercraft controllers. And for good reason. 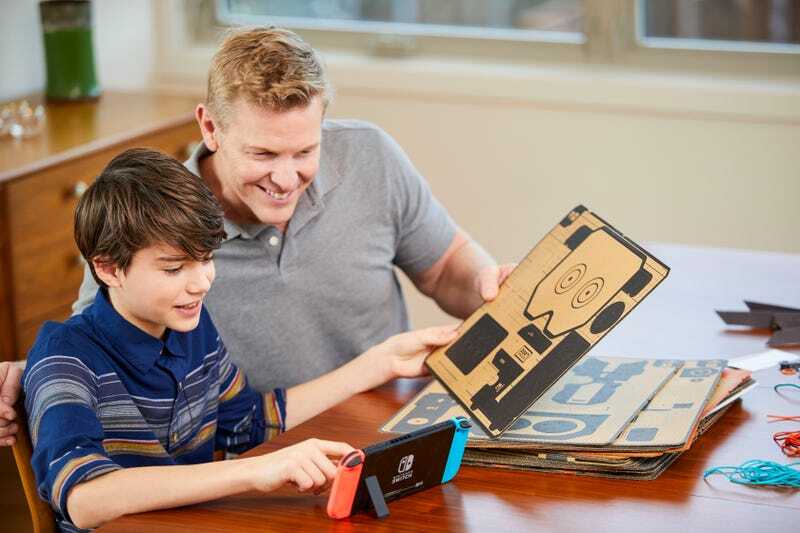 Two Nintendo Labo sets, which include the game cartridge and the materials to put together the mechanical controllers, will release on 20th April. One of them, the Robot Kit, lets you put together an elaborate backpack-style contraption that connects via string to your hands and feet, letting you control an on-screen giant robot, smashing buildings by moving your body. Wait a minute... control an on-screen giant robot, smashing buildings by moving your body? 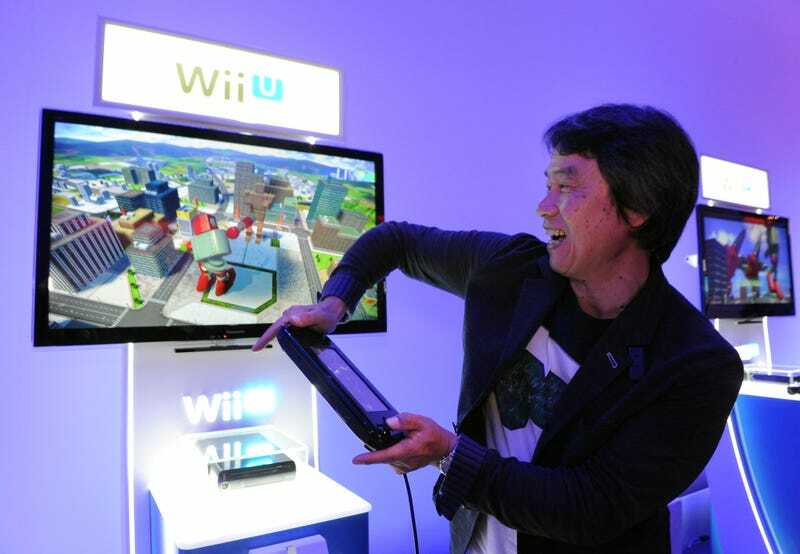 That’s right... it’s our old friend Project Giant Robot, which was personally conceptualised, announced, and demonstrated to the press at E3 2014 by Shigeru Miyamoto himself. This was when Wii U was clearly struggling to find games that made good use of the many capabilities of the GamePad controller, and it was announced alongside two other games with deep GamePad integration, which would eventually be released as Star Fox Zero and Star Fox Guard. The premise was similar to Nintendo Labo’s Robot Kit: as Miyamoto ably demonstrated in the press photograph above, you went on a rampage by twisting and turning your body to control the limbs of the robot. Having tried it myself, Giant Robot was fairly chaotic and you looked like an idiot doing it, which I guess was the whole point. 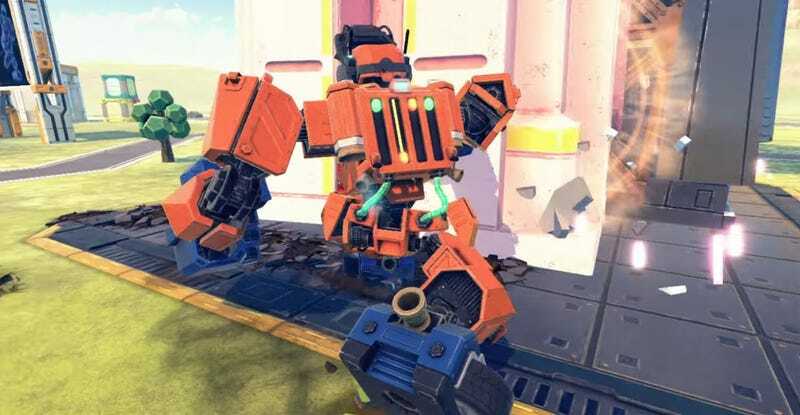 Alas, it was not to be: although Project Giant Robot kept showing up in Nintendo’s lists of upcoming Wii U software, not a peep was uttered about it until it was silently removed from the list just before the launch of the Switch. Consider Stage Debut, the GameCube tech demo shown off at E3 2003 in which you would take a photo of your face, then import it into the software. Miyamoto eventually said that the game, which never shipped on GameCube, was the inspiration for Wii’s Mii Channel. Or the fact that Nintendo originally wanted a link cable to hook up the Game Boy Color and the Nintendo 64. Or the fact that it sat on Star Fox 2 until the release of the Super NES Classic. Clearly Nintendo felt it had the germ of a great idea with Project Giant Robot, but correctly assessed that moving forward with it on Wii U—even as the console was dying for software!—was not doing it justice. Who knows; perhaps the continued experimentation with Giant Robot was what led Nintendo to the idea of papercraft controllers in the first place.